Debris – ceiling mostly sink was pulled of the wall toilet -umm YUCK! A paper I wrote for the diaconate order. The Science of the Sacraments, written by Bishop C.W. Leadbeater, clarifies the meaning of the sacraments on a higher plane of consciousness. Leadbeater’s focus was to have a church with the freedom of faith and conscience, with an esoteric understanding of the Sacraments. He explains the Holy Eucharist through a mystical perspective of esoteric magic and universal salvation. Within the Sacraments there is an immense influence of the Divine, that is channeled through the Blessed Host and Wine, to the Celebrant, to the congregation, and then to the community – the world. A new idea of church worship is brought forth, the Sacrament of the Eucharist is a thing of exquisiteness and it brings the congregant closer to the Most Holy Divine. It does not just affect the congregant but the whole world. The congregant through the Sacrament of Baptism and Confirmation is prepared to enter the Eucharist with a ready heart. The place of worship is the “centre of magnetic radiation through which spiritual force can be poured out…” This emission is done through the “intermediate Powers.” These Powers will absorb the spiritual force and then disperse it accordingly. The Powers keeps a great reservoir of this to be used when “appointed ceremonies, words and signs of power, to draw upon it for the benefit of mankind.” Every time the Sacrament of the Eucharist is celebrated, the spiritual powers give amity and forte to those in celebration. Leadbeater states that it is man’s duty to offer admiration in a humbling manner to the Holy Father. This is carried out in the church service when man builds the Eucharist edifice, which He uses to channel His Divine Energy. This is “the highest honour and the greatest privilege that can ever fall to the lot of man.” The liturgy is a civic work, it does not affect an individual but the world. It is an ideal symbol, reminding one the what the Word did for mankind. Liturgy is a job that is a service for God and the world. Leadbeater the guides the reader into the Sacraments and compares them to the Roman Rite. He then explains in detail the individual aspects of each Sacrament. The first he approaches is the Sacrament of the Eucharist an exquisitely choreographed dance-drama and a representation of the of the sacred sacrificial banquet. It brings a union of this world with the unseen Divine world. From the Entrance to the Benediction, the Powers flow and ebb like an ocean wave coming to shore. The first sequence, the Entrance, binds the celebrant and congregation into one mind. The second sequence, Aspergils, purifies the church and its congregants. It is here that the movements of the Celebrant become precise. It creates “a rush of cleansing force…” an “outrush blows what looks like a vast flat bubble of an etheric and astral-mental matter.” These gestures start the building of the Spiritual Temple, allowing the “tremendous force…to radiate from it.” From here each movement and every word are specific, this allows the spiritual edifice to expand and opens this world to the Powers. The Dismissal of Angels to the Benediction is the dispersal of the spiritual edifice into the world. Leadbeater then dives into the Sacrament of Holy Orders, with a touch of history and description. There are two groups – Minor and Major, each has a preliminary step and divided into sub-orders. The Minor Orders preliminary step is known as Order of Cleric, which is followed by the Order of Doorkeeper, the Order of Reader, the Order of Exorcist, and the Order of Acolyte. Each requires the initiate to dedicate part of himself to the service of the Church through a spiritual aspect. The Major Orders preliminary step is the Order of Sub-Deacon, which is followed by the Order of Deacon, the Order of Priest, and the Order of Episcopate. Apart from the Sub-Diaconate, the other Orders endows the man with spiritual power which is drawn from the Great Spiritual Reservoir. On a personal level, to apply these levels to my life, first I need to surrender my Tri-man (body, soul, spirit) to my Creator, Heavenly Father; my brother and savior, Jesus Christ; and to my link to the Divine, Holy Spirit. Second is to open my mind through clairvoyance to see the unseen. I know I am in my infancy of clairvoyant, but since I was a child I could feel and see “things.” At that time, I did not understand, but now through the Science of Sacraments, I am beginning to understand. We now move into the “Instruments of the Sacraments” – the ideal church floor plan, windows, bells, holy water. According to Leadbeater the “ideal” floor plan allows the Mensa/Altar to be seen from all angels, “the celebrant is near the people;” the choir is in the east; the aisles are arranged for ease of movement; and “symbolically laid out” – a square which aids in the building of the Spiritual Temple. The windows should be made with high quality, colored glass is preferred, and artistic. He states that figures of Christ, Our Lady, and the Saints and Angels are permitted. To use strong liturgical colors to enhance the Celebration. Leadbeater states that bells should “have a sweet and harmonious peal.” Tradition holds that it is a call, a reminder, for the people to come together. Liturgically bells are employed for festivals and within the Holy Eucharist, it used to aid in the spiritual building. The major instrument is the Mensa/Altar, from its position to its appurtenances are carefully chosen. For position, it is preferred to be on the east side within the sanctuary, which is separated from the nave by the chancel rail. The Mensa/Altar is where the spiritual power flows from, to the celebrant, and onto the congregation. It is the central focus of this dance-drama. This focus is enhanced using the Seven Rays, which the Powers channel the spiritual tidal wave through seven precious. Leadbeater speaks of using Ray Jewels instead of relics, but personally, I would use both. The jewels for spiritual channeling and the relics for a reminder of the saints that preceded me. From various reading, the Science of the Seven Rays was “taught solely in secret for millennia, was introduced outside of the ancient mystery schools of Western and Hindu tradition by some of the great occultists of the late 19th and early 20th century: H. P. Blavatsky, Manly Hall, C. W. Leadbeater, and Alice Bailey.” (Coquet, 2012). The vestments are another source for the Powers to channel the spiritual wave. 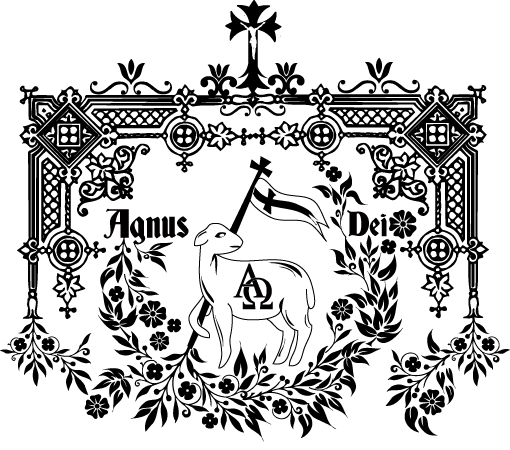 From their applique, that carries the emblems, to the color is specific to the spiritual season. Leadbeater again gives a brief history lesson and then goes into each specific vestment and how and why they are to be worn. Vestments have several functions – to protect against “disturbing influences” and to assist in storing the spiritual powers invested in him. Within the Liberal Catholic Church, there are other services to assist man in devotion to the Divine Triad. They are Prime, Compline, and the Burial of the Dead and its Service. The Powers continue to channel through these, and each has a place and time. On a personal level, I find the concept of clairvoyance enriching. I can see how it affects the worship, but also how it can affect daily life. Eight years ago, while at Bryant & Stratton, I was given an English assignment – to write a 500-word autobiography. This is when I realized that if I let go of my past, my true identity will emerge. While writing I felt and saw another plane, this guided me through the traumas and joys I faced while growing up and as a young adult. I feel my true identity is in the midst of the unseen – tangible but just out of reach. With Leadbeater’s’ description of clairvoyance in worship, I made a connection that made this identity even clearer. As I continue through the Orders and my studies, this identity will manifest fully.